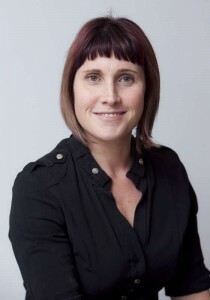 After obtaining her medical degree from National University of Ireland – Galway (NUIG) in 1997, Dr Walshe completed her initial oncology training in the Mater Misericordiae Hospital. She gained her Masters in Molecular Medicine at Trinity College, Dublin. In 2003, she began her Fellowship in Medical Oncology at the National Cancer Institute (NCI) based in Bethesda, Maryland, where she was actively involved in clinical breast cancer research. She designed studies investigating novel approaches involving biological therapies in the treatment of Her-2 neu overexpressing locally advanced and metastatic breast cancer. Her research has been presented at numerous international meetings and published in peer-reviewed journals. In 2006, she returned to Ireland having been initially appointed to the Adelaide and Meath Hospital and later St Vincent’s University Hospital. Her works focuses on chemo prevention and the treatment of breast cancer. In addition to her clinical work, she is a senior lecturer at University College Dublin and Trinity College Dublin. She is an active member of the European Society of Medical Oncology (ESMO), American Society of Clinical Oncology (ASCO) and ICORG (the all-Ireland Co-Operative Oncology Research group) ensuring the availability of novel research opportunities for Irish cancer patients. She is also a member of the ASCO Scientific Committee in triple negative breast cancer from 2013-2015. 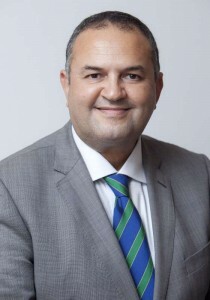 Dr Salib was born to Egyptian parents in Dublin and returned to Egypt for his schooling. He graduated from medical school in 1984 and received a Diploma in Clinical Oncology from the Royal College of Radiologists London in 1994. He is a Fellow of the Faculty of Radiologists, Royal College of Surgeons Dublin since 2002. Dr Salib has been practicing as a consultant radiation oncologist since 2003. His site specialisation is in breast cancer, gynaecological cancer, lung cancer, lyphomas and palliative radiotherapy. He treats patients in Dublin at St Luke’s Hospital, St James’s Hospital, St Vincent’s Private Hospital and the Hermitage Medical Clinic. Dr Salib was part of the medical team that treated Marie Keating during her fight against breast cancer. 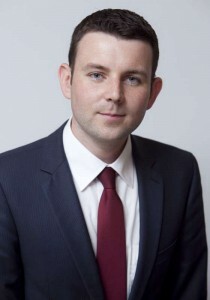 Chris Donoghue is a journalist, broadcaster and the presenter of Newstalk Breakfast on Newstalk 106-108fm. Chris and the station have been involved with several events with The Maire Keating Foundation and Chris has personal experience with cancer, having been diagnosed with non-hodgkin’s lymphoma in 2007. Chris underwent surgery and chemotherapy and was successfully treated in St James’s Hospital. Chris is 30-years-old and lives in Dublin. 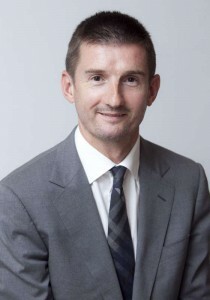 Prof Kell is a consultant surgeon and associate clinical professor at Breastcheck, the Mater Misericordiae University Hospital, Mater Private Hospital and University College Dublin. He took up his position in the Mater following completion of his training in surgical oncology at Fox Chase Cancer Centre, Philadelphia. He has been Lead Clinician and surgeon in Breasthealth at the Mater, and chairman of the Lead Clinicians Group in the National Cancer Control Program and is currently president of the Society of Irish Breast Surgeons. Prof Kell trained as a research fellow in Harvard Medical School and has published widely on both basic science and the clinical management of breast disease; with ongoing collaborations between UCD, DCU, and Memorial Sloane Kettering Cancer Centre. Primary focus of research is now focused on optimising surgical outcome following breast cancer and reconstructive surgery. Yvonne Joye is a graduate of University College Cork, with a BA in German and Sociology. She is the published author of two non-fiction books “Ten Fingers and Ten Toes” (2010) and “An Inconvenient Year” (2012). She is a journalist, a columnist and a broadcaster. For the year 2012/2013 she was Survivor Ambassador with the Foundation speaking at a number of lunches, dinners and information meetings promoting proactivity in health awareness and underlining the role of early detection of cancer in saving lives. 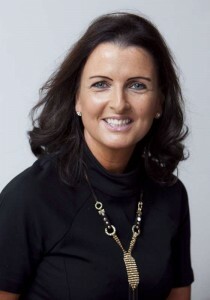 Siobhan Foster is currently Deputy Principal in De La Salle College Churchtown. Formerly she has been on secondment to the Department of Education & Skills SPHE Support Service & PDST (Professional Development Service for Teachers) where she was Regional Manager and had responsibility for supporting schools in the area of SPHE (Social Personal & Health Education) & Child Protection. She was involved in the design & delivery of in service training and support to teachers and senior managements as well as working with support agencies in the design and production of resources for SPHE. Siobhan has been involved with the Marie Keating Foundation for many years and worked with Yvonne Crotty in the design and promotion of the Marie Keating Foundation Cancer Awareness Programme for Schools. She has also worked in collaboration with the Marie Keating Nurses Schools Team in the delivery of teacher training and support. For more information about this programme, please click here. Dr Eileen Furlong is a lecturer in nursing in UCD School of Nursing, Midwifery and Health Systems. Eileen has co-ordinated the Master Degree programme in Advanced Nursing Practice since it began in 2001. This role incorporates teaching, clinical and classroom assessments, curriculum development, administration and liaison with clinical colleagues. In addition, she has been instrumental in developing and teaching health assessment skills and knowledge across a wide range of programmes. From 1998-2006 Eileen was the programme leader for the Cancer Nursing programme, and she continues to contribute to this programme. She had the role of Subject Head for Chronic Care Nursing from May 2012 to August 2014. In addition, Eileen currently has an honorary clinical role in the Mater Misericordiae University Hospital, where she works in cancer services. 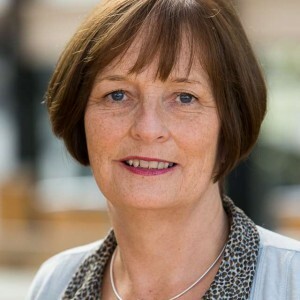 Eileen was awarded the Marie Keating Foundation Breast Care Scholarship in 2009, in support of her PhD project on ‘School-age children’s experiences in the context of maternal breast cancer.’ In 2011 she was awarded with the European Oncology Nursing Society Distinguished Merit Award in recognition for her national and international contribution to cancer nursing. Currently, Dr Furlong is the joint lead PI on an FP-7 funded multi-national European Commission project entitled: Randomised controlled trial to evaluate electronic Symptom Management using the Advanced Management System (ASyMS) Remote Technology for patients with breast, colorectal and haematological cancers. This 5-year project, which is being run from 2014-2019, is funded to the cost of €6 million.